For many people fishing is not only a sport, but rather a way of life. These folks, me included, like to surround themselves with anything that has to do with fishing. We even wear clothing that lets others know just how much we enjoy our outdoor activity. 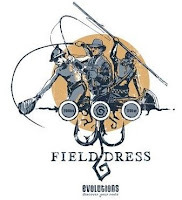 Field Dress has come out with a new line of T-Shirts just for the avid fisherman and woman. 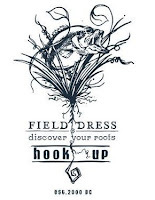 Unlike some leisure apparel that, to be frank, can be quite tacky Field Dress, a name synonymous with the outdoors, has introduced a line of casual apparel depicting professional and high quality graphics unlike any other in the industry. 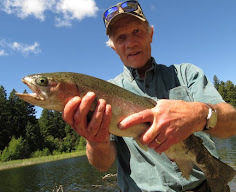 As fishing has evolved, so have its participants. The outdoor community is a family of educated and ethical brothers and sisters whose knowledge and respect for their sport transcends the typical stereotypes. As we changed over the decades so has our dress sense from the crude to the elegant. Today we can express our passion in public with style in a way that earns us respect. 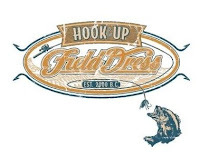 The designs of Field Dress is what I proudly wear to let others know that I am an evolved fisher and to advertise fishing as a wholesome activity to others. The “Classic” and “Roots” lines carry the trademarked terms Nock-Up (archery), Load-Up (gun) and Hook-Up (fishing) while referring to the established dates of each sport. The “Evolutions” line depicts and dates how each sport has evolved over time. Demonstrate your knowledge and passion for the sport you love by ordering a custom tee from Field Dressed. For more information on ordering or to view more design please visit the website. Tight Lines...and don't forgret to have fun! Othmar - Nice find here with this apparel. They appear to be a unique and well thought out line. Thanks again for the link. Thanks Mel. I got a few shirts and I am really impressed with the quality of the product. My wife will takwe pictures of me wearing the shirts and then I will post them here and on Outdoors with Othmar Vohirnger.